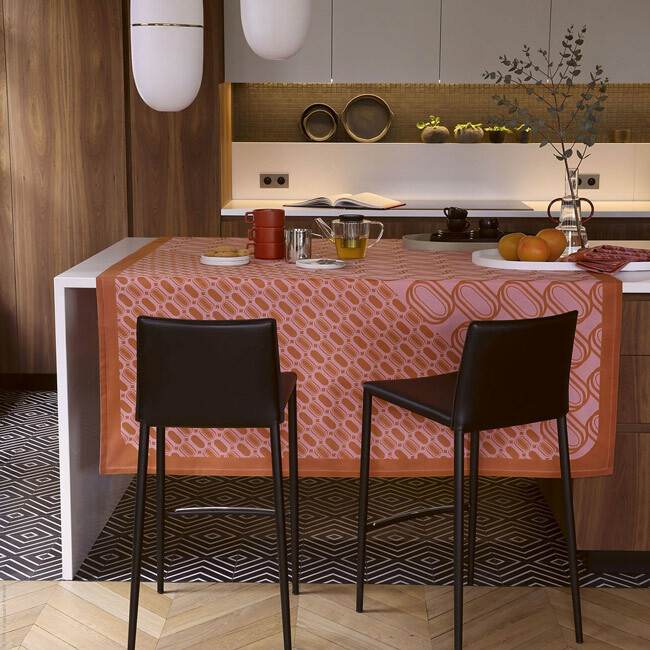 This tablecloth collection cultivates a 70s vibe with the irresistible retro look. The curved lines, changes in scale and graphic jacquard woven patterns form an asymmetrical appearance. Twist table linen cleverly incorporates a special pocket weaving method which makes it reversible.